Pebble Ltd | Blog | What is a Phishing Email? 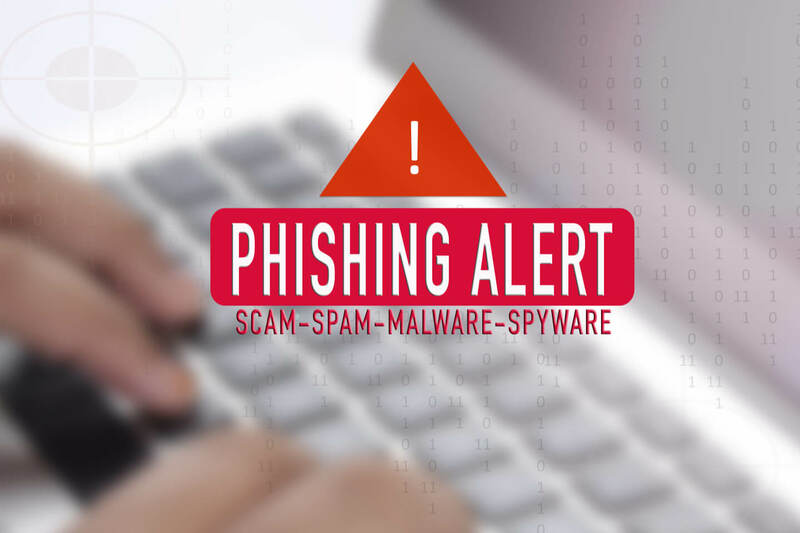 Phishing is the fraudulent act of scammers who send emails, or telephone people, appearing to be legitimate companies, in order to trick people to give their personal information, such as bank account details, credit card numbers or passwords. Generic greeting: Fraudsters can send thousands of scam emails at once. They may have your email address but rarely have your name. Therefore, they tend to use generic greetings such as ‘Dear Customer’ or ‘Dear Member’. Urgent action required: Scammers very often send emails that include threats in order to fool the individual into thinking they need to react urgently and immediately; therefore being vulnerable and more likely to give out their personal information. These threats are in forms of phrases such as ‘suspicious activity on your account’, ‘your account has been compromised’, ‘your account will be suspended/blocked’ or ‘urgent action required’. Unofficial sender: The fraudster’s email address may be similar to, but not the same as, the company’s official email address. These fake email addresses are meant to fool people into thinking they are legitimate. Spoofed sender: Something that has recently emerged is that emails can be from a colleague but looking at the email address, it is actually different. Links to fake websites: Scammers often include links to fake websites in order to trick people into disclosing their username and password. These links lead to a page that looks exactly like the sign-in page of a legitimate website, and sometimes even has the company logo. These fake sign-in links then entice people into filling in their details and therefore resulting in them falling for the scam. Other things to look out for in these phishing emails include; poor grammar, spelling errors, inferior or mediocre graphics, attachments, download files etc. For more information about email, you can contact Pebble on 01733 902070 or email us via our contact form.